The Vetiver of a lifetime. When something is so perfect I feel you can only say so much. If something surpasses everything else and just obliterates every other contender in its path need I say more? 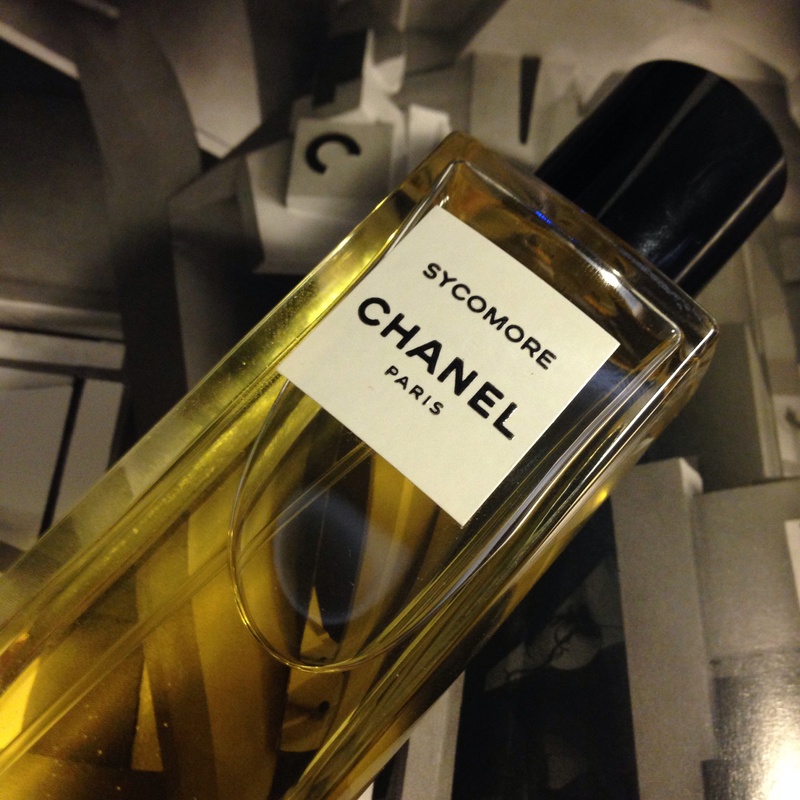 Chanel’s Sycomore effortlessly pushes the awe-level of fragrances into a whole new stratosphere entirely of ‘oohs’ and ‘ahhs’. If you have read my review on Guerlain’s Vetiver, I find it very difficult to really enjoy vetiver as a predominant note. The grassy greenness is very hard for me to enjoy. It can be harsh, brazen, a bit obnoxious, a bit too linear and so forth. Sycomore still presents the green twang that I find conceptually challenging, however this is blended very, very well. The balance of vetiver’s usage is between a smokiness and a sharp anise character. I for one love a fragrance with a bit of density to it, and Sycomore is delivered with a harmony of smokiness and weight, but also a certain roundness to it; perfect coexistence. The other God, Jacques Polge, one of two noses behind this fragrance (and a spot behind his majesty, kind of perfumery, Jean-Claude Ellena), combined the satisfying note of sandalwood: sweet, hearty, woody and lingers nicely; with cool and crackling vetiver; cypress; and puffs of smokey, roasted and sweet tobacco. Immediately satisfying, calming, fresh and rich. An obvious standout compared to other Les Exclusifs from Chanel, as it’s very contemporary, but also incredibly masculine from a female/unisex line. Odd. I think of campfires, charred wood and forests. An olive green fragrance that reeks of the earthy green outdoors. The bombastic opening dries nicely to a (still smokey) crisp violet and spice concoction; with a dry black tea leaf note also. Cozy. [Sycomore] leaves a warm breeze in its wake. There is, however, a ‘tip-of-the-tongue’ dilemma I have with this scent. It smells familiar. It smells welcoming. Almost bushfire-esque. I connect this factor to the mixture of sandalwood and vetiver; vetiver’s long lost partner. The sandalwood just completes vetiver and puts it in perfect company. The scent shifts and wafts different things wonderfully. Sandalwood is already a complex scent molecule that basically covers the whole scent wheel – It can be milky (Santal Massoïa by Hermès) and of course sturdy, woody and green. There’s a richness to the scent that is delivered and transforms vetiver’s ‘linear-ness’ into beautiful different tones of earth to olive green, but also a little bit of a brown smoggy/smokey temperament and a minor, pretty much non-existent floral/herbaceous note. Divine blending and note pairing; a kudos. This scent reminds me a little bit of old wooden furniture, with a mildly sour vetiver drydown and resinous turpentine-ish varnish (just take out the eye-watering and nose-burning aspect). Some love the smell. Count me in. I think this is what has been on the ‘tip-of-my-tonuge’. A fragrance in the wood category that stands apart from the rest; immaculately dry. Alternatives: Encre Noire by Lalique; or just go camping; or lightly varnish some wood. Tenacious like Coco. Masterful. Chanel, you’ve done it again. This entry was posted in Chanel and tagged Chanel, Fragrance, Review, Sycomore. Bookmark the permalink. Amazing fragrance. I do agree that it deserves a five star. Masterful balance between radiance and darkness, dryness and sweetness, creamy wood and burning wood. I don’t express myself as poetically as you do, but you can read my review on my blog as well. Cheers and a good weekend to you!